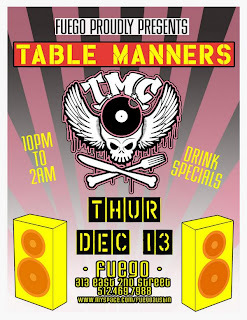 From the Curry in a Hurry dinner department... Table Manners @ Fuego Lounge tonight, Dec 13th. Hungry... time to eat... I wish I could order dinner through the Austin Hip-Hop Store... what an idea!